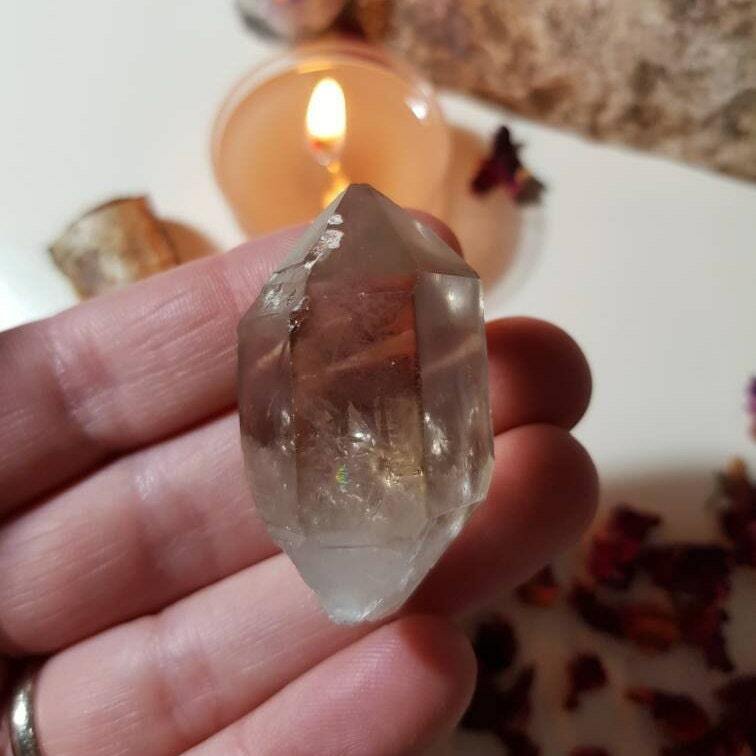 Tibetan double terminated Smoky quartz crystal from Tibet. Note from the buyer I sourced this crystal from : Any crystals that come to us from Tibet literally come out on the backs of pack mules and yaks. They are hand dug in extreme mountain conditions by monks and local people, and are true crystalline treasures. 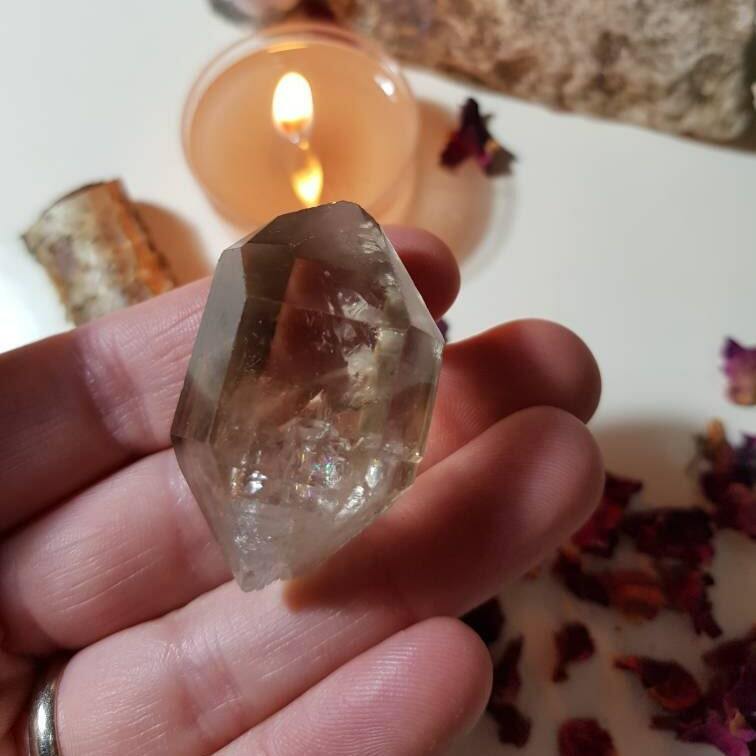 In addition to the generic healing properties of Quartz, Smokey Quartz is an excellent grounding stone. 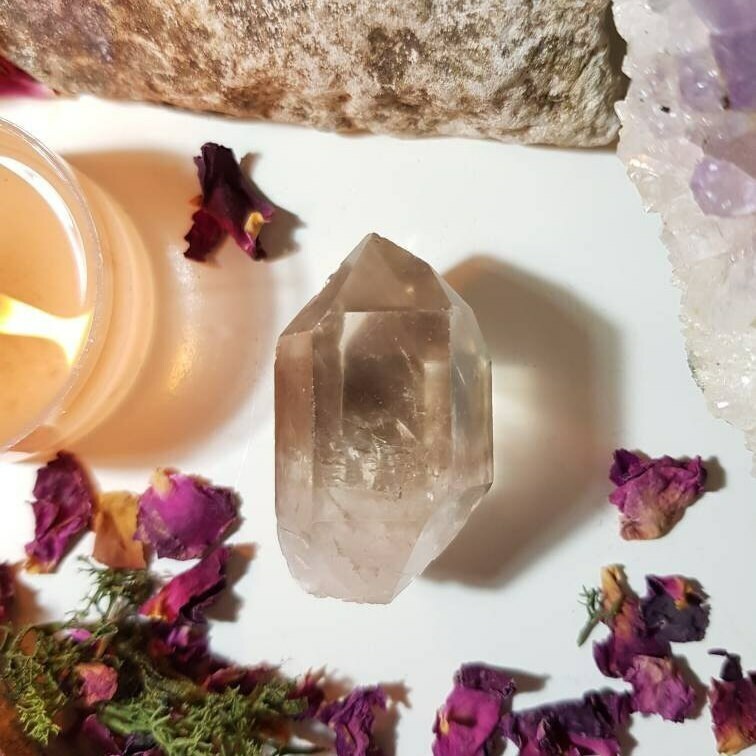 It gently neutralises negative vibrations and is detoxifying on all levels, prompting elimination of the digestive system and protecting against radiation and electromagnetic smog. Measures approx. 4.2cm x 2.5cm. 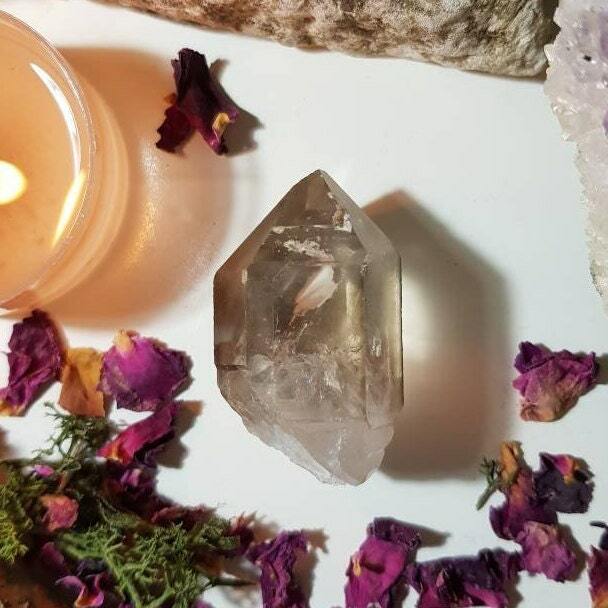 Comes with details of properties of the crystal, a incense cone, wrapped tissue paper and an organza bag.